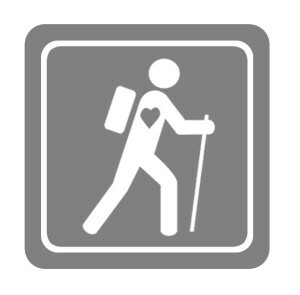 Hiking improves mental health and is a “stress-buster,” a recent large-scale study suggests. Researchers observed members of England’s Walking for Health program on the trail and found that group nature walks are linked with significantly lower depression, less perceived stress and enhanced mental health and well-being.Results of the study, conducted by the University of Michigan, in partnership with universities in England appear in a special issue of Ecopsychology devoted to ‘Ecopsychology and Public Health’. Researchers evaluated about 2,000 participants from the Walking for Health program, an organization that helps conduct nearly 3,000 walks per week across England. Findings suggest nature walks are a powerful, if underutilized “stress buster.” Not only do such walks elevate mood, but they may also contribute to alleviating more serious conditions such as depression. University of Michigan researchers have been working a long time in this field, particularly in the field of Attention Restoration Theory (ART), which posits that a walk in the woods helps re-focus the mind and revive the spirit. And England with its long embrace of the restorative value of walks in nature has always been on the forefront of recognizing how hiking improves move and relieves depression. I summarize the studies that show how hiking is good for you in my pocket guide, HIKE for Health and Fitness. It was the very size of this latest study of Walking for Health program participants that caught my eye. “We hear people say they feel better after a walk or going outside but there haven’t been many studies of this large size to support the conclusion that these behaviors actually improve your mental health and well-being,” says senior author of the study, Sara Warber, M.D., associate professor of family medicine at the University of Michigan Medical School and member of the Institute for Healthcare Policy and Innovation. Turns out time on the nature trail is especially beneficial for people who had recently experienced such stressful life events such as marital troubles, a serious illness or unemployment. 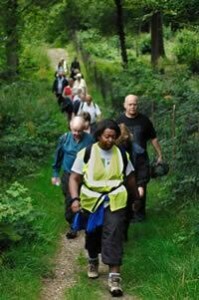 Those under high stress especially saw a mood boost after their walks with companions in the great outdoors. “Group walks in local natural environments may make a potentially important contribution to public health and be beneficial in helping people cope with stress and experience improved emotions,” adds Dr. Warber. Given the increase in mental health challenges and physical inactivity in the modern world, a walk in nature might be just what the doctor ordered. And now science confirms common sense: Taking a hike is an enjoyable and accessible way for people to improve their physical and mental wellbeing.